In the beginning, God created a lot of things. He worked six long days, and rested one. But in the end, when he saw all that he made, it was not that good. 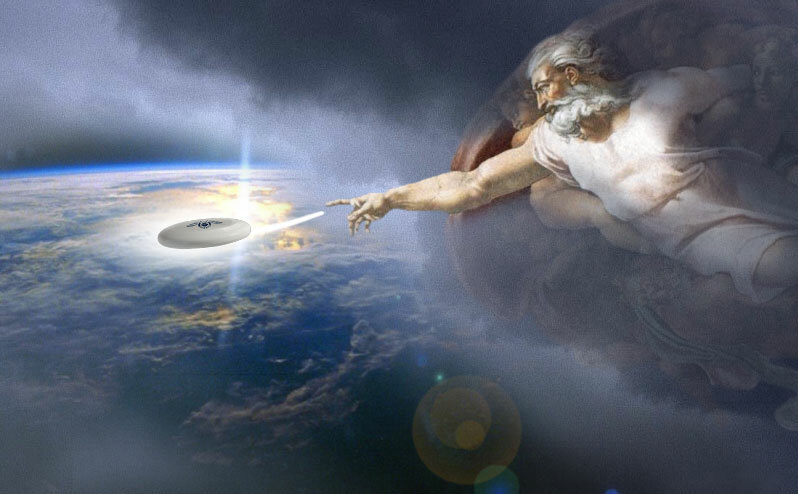 So God said, “Let there be Disc”, and there was a Disc. God saw that the Disc was good, and he separated the Disc from all the other sports. God called the disc “Ultimate” and the other sports “Other sports”. And there was evening, and there was morning – the eighth day. And then God said, “Let there be a park in Brussels where people could meet and play Ultimate.” And it was so. God called the park “Cinquantenaire”. And there was evening, and there was morning – the ninth day. And God said, “Let there be two people among all the people in Brussels that want to play Ultimate. And let them call all their friends to play with them.” And it was so. God called those people the “Flying Rabbits”, because they were all running crazy like bunnies. God blessed them and said to them, “Be fruitful and increase in number; fill the Ultimate world with love and music.” And God saw that is was good. And there was evening, and there was morning – the tenth day. God saw the Flying Rabbits have fun, but he also saw they were pretty bad at the sport. So he sent an old Belgian champion to help them. God called him “Coach”. The Rabbits called him “Jean-Coach”. And Jean-Coach helped the Flying Rabbits become better, stronger and faster. And God saw that it was good. And there was evening, and there was morning – the eleventh day. And God said, “Let there be special moments, to let the Flying Rabbits play with new teams. Let them share their love and passion during those special moments. Let them sing and dance. Let them do crazy things with people all around the world.” And it was so. God called these special moments “Tournaments”. 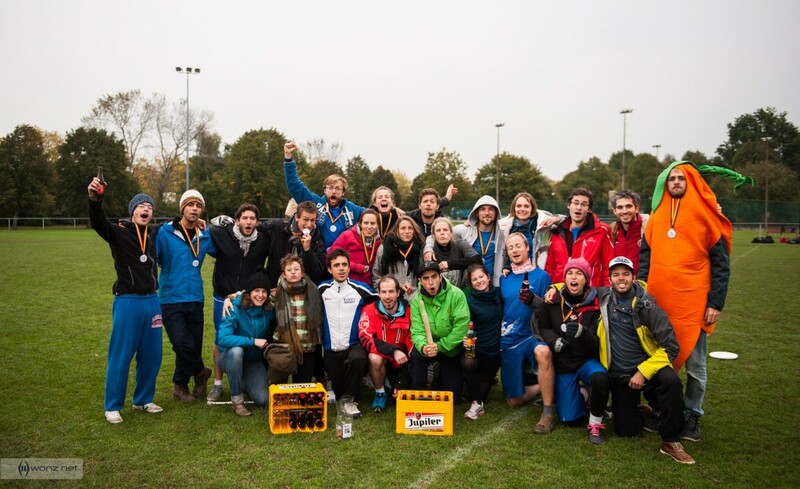 The Flying Rabbits loved tournaments since their very first one in 2013. They loved them at first flight ! And God saw that is was good. And there was evening, and there was morning – the twelfth day. Then God said, “I give you every disc on the face of the whole earth and every player who is holding it. They will be your friends. And all the games of the days and the parties of the night – everything that has the breath of life in it – I give everything for food. The Flying Rabbits will feed their lives with all of this. The Disc will be their Carrot.” And it was so. God saw all that he had made over this second week, and it was very very good. And there was evening, and there was morning – the thirteenth day. Thus the Rabbits and the Carrots were completed in all their vast array. By the fourteenth day God had really finished the work he had been doing; so on the fourteenth day he rested from all his work. And he played some disc with the Rabbits. PS: Any resemblance to a spiritual book is pure coincidence. In fact, the Flying Rabbits do not relate to any specific religion. The God we’re speaking about is the almighty God of Ultimate, aka, the Spirit of the Game. Respect him, and your life will only be joy and happiness.